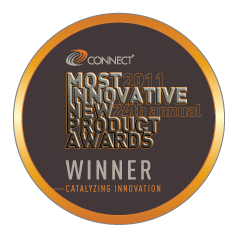 We are proud to announce that of the 140+ companies that vied to be the Most Innovative New Product of the year, our ScenGen product just made it through the rigorous judging process to win the CONNECT 2011 Most Innovative Product (MIP) Award competition in the Aerospace and Security Technologies category. ScenGen was chosen by a group of industry experts to represent the best of 2011's new offerings - some of the most cutting-edge technologies expected to make a worldwide impact. For more information on ScenGen: Click Here. ©1988 - 2019 SCORPION COMPUTER SERVICES, INC.